Making his debut release on Lange Recordings is Russian producer D-Mad - landing with a double headed EP. 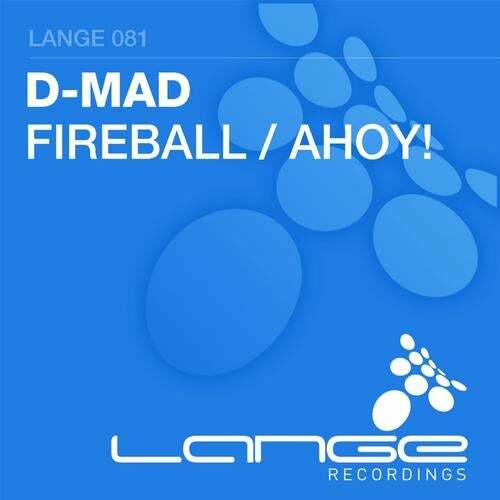 'Fireball' wastes no time getting started, striking early with a convincing bassline wrapped in sparkles of percussion; this track teases towards the main drop and the climax plummets to an instant club favourite - tried and tested by Lange himself as the opening track to his ASOT600 set in Madrid. Similarly, 'Ahoy!' adopts an equally addictive lead riff, one sure to leave the club humming! Together with a rolling bass line and tantalising pitch bend effects, D-Mad creates an essential track for any peak-time set. A huge opening EP on Lange Recordings from the brilliant, D-Mad. Support from Paul van Dyk!